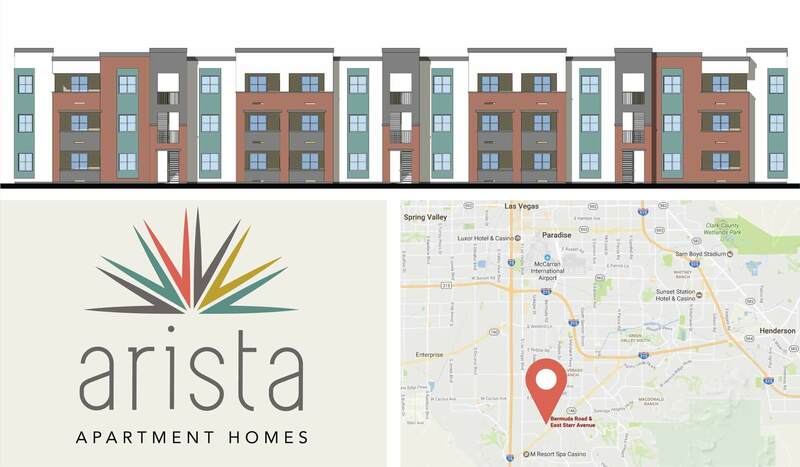 Site work has begun on 9.61 acres at Starr and Bermuda avenues in South Las Vegas where Warmington Apartment Communities will build 220 apartment units at Arista Apartment Homes. Warmington Apartment Communities and its joint venture partner purchased the land for $5.28M and the projected capitalized value at 6% is $40.8M. This transaction marks Warmington’s eighth multifamily acquisition in the Las Vegas area where it has already developed the nearly 1,600 units that comprise its existing Nevada portfolio of apartment homes. With a total of $980 million in assets under management, Warmington’s full portfolio includes 2,789 apartment units, 3 student housing projects and 18 commercial properties in Nevada, Southern California, Arizona and Utah. Our expertise covers a wide range of property sizes, asset classes, product types, ages, geographies and demographics. Warmington continues to aggressively seek acquisition and development opportunities in pursuit of expanding its portfolio and is specifically searching for value add and stabilized core-plus properties. This growth position is in tandem with the overall core strategy of protecting and increasing value and property cash flow through skillful management of new and existing investment properties.